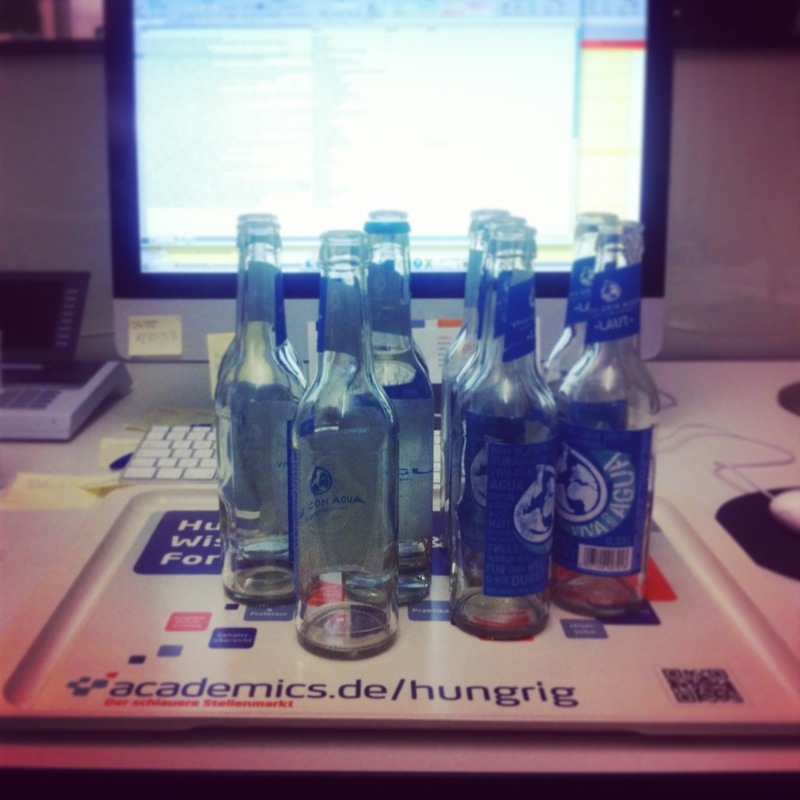 My desk at which I hear a lot of weird German. And drink water with Spanish names. “Wir müssen hier die headline besser setzen, im Teaser und im Lead kann das key word auch mit rein, und ich scribble dir bis morgen ein template für das Mailing. Dann müsstest du sehen, wieviele unique visitors wir haben, denn die visits sagen viel über die usuability aus, und das sehen wir uns dann mal an, wie das mit der conversation rate ist”. And I am like, “Of course.” I learned other languages before so I can certainly learn one more hybrid language. 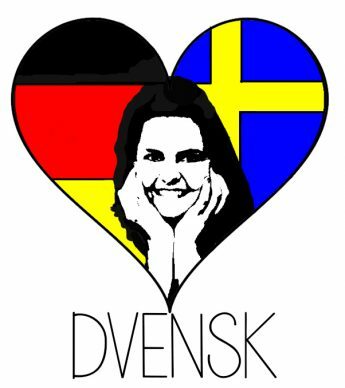 I think both the Swedish and the German language have an interesting albeit different relationship with the English language. Swedes will frequently throw in English words in their sentences, often swedifiying them. (Something that can go a little wrong when you say “Vi vill att det ska benefitta alla”, quote by someone who probably wants to remain anonymous.) Both in German and Swedish you can find many expressions that are direct translations from English. The Deutsche Bahn (German Railway) received the title “Sprachwahrer des Jahres” this year which basically translates to Protector of Language. After I-don’t-know-how-many-years the German Railway company has decided to rename their “Service Points” into “Information”. However, the amazingly silly name for our fast trains remains: ICE (Inter-City-Express). 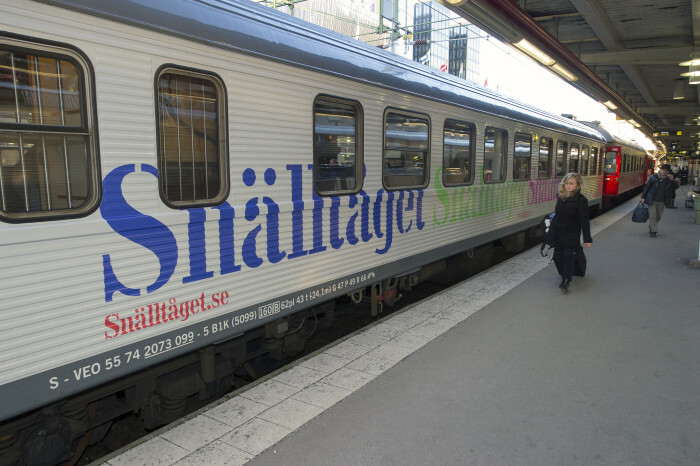 The funniest thing about that is that Swedes sometimes call (or used to call) fast trains snälltåg which is a swedification of the German Schnellzug. At least someone is still using German, I guess.